Cleaning up our home is not our favorite activity of the week, but it is definitely a necessity. Most of us just want to get the housework done in the shortest amount of time possible. Of course, with the best results with the effort we put in. 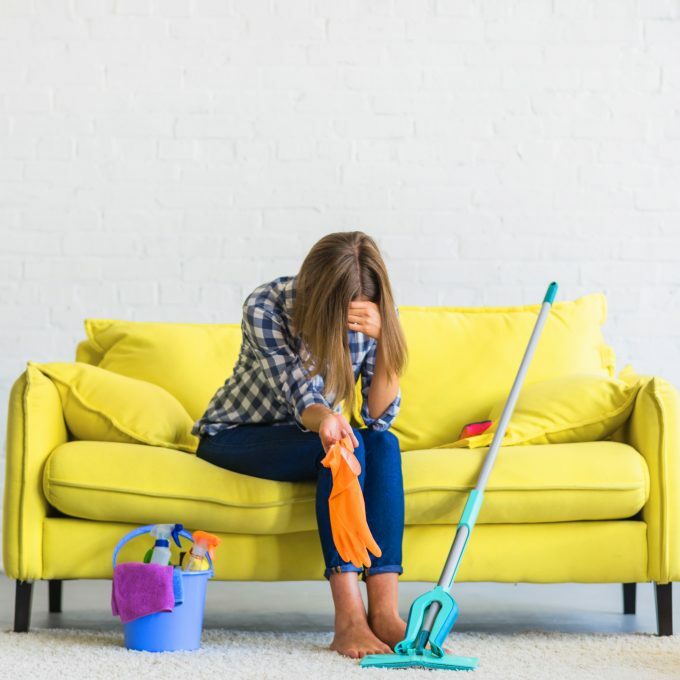 To help you get a bit more organized, there are some cleaning mistakes that you probably are making and should be doing. Make some changes within your cleaning routine and get the job done more quickly. Then you can have more time to enjoy your clean home. Spending 15 or 20 seconds to take care of a problem or spending 20 to 30 minutes later cleaning up the mess makes a whole lot of difference. A few minutes of cleaning and decluttering each day to help all that “heavy” cleaning feel much easier. Clean the kitchen by sanitizing it. Dirty the laundry placed in the hamper. Wipe down the bathroom sinks and shower doors after each use. Declutter the mail, newspaper and receipts daily. Your weekly tasks of cleaning, such as dusting, vacuuming, mopping, and doing laundry will be much simpler! Using a cleaning product that is wrong can leave the job undone. This means you will need to repeat the process since there will be leftover dirt. You might have used the wrong laundry product and find yourself rewashing to remove stains. It’s best to carefully follow the directions for the best results. It saves you time and even money. Don’t use the wrong cleaning products as these can be permanent. If you want to reduce the amount of chemicals used in your home, go natural. Use natural or green cleaning products. They can be effective if you use it correctly. 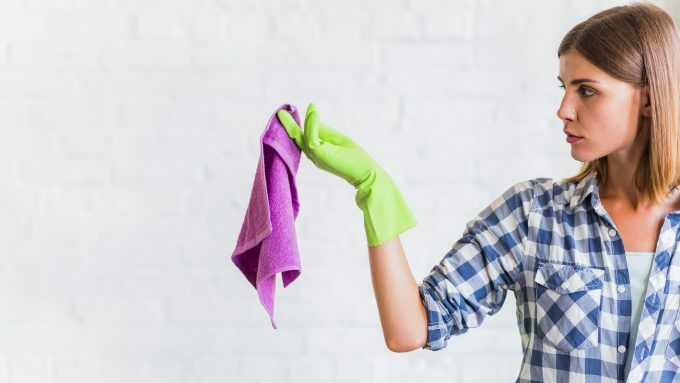 The cleaning tools you use can be making matters worse for you within your home. They can be spreading bacteria and soil around right in front of you! Your kitchen sponges can be a breeding ground for coliform bacteria, which is Salmonella and E. coli. Your washing machine can redeposit body soil and leave the laundry smelling terrible if you don’t clean it regularly. That vacuum you are not emptying out can be puffing out dust after every time you use it. It’s important to take the time to wash your cleaning tools. Wash those cleaning clothes, mop heads, scrubbing brushes, and emptying the vacuum filters and cups with every use. We don’t want to spend more time cleaning then we need to. Starting at the wrong spot when cleaning thoroughly can make us have to back track and repeat the process. Declutter by picking up things that don’t belong in the room. return them to their right spot. Never take the time to clean around them. When you are ready to clean, start from top to bottom. For example, start by cleaning the ceiling fan, wiping down cobwebs, dusting, and then vacuuming. For shower walls and doors, also start at the top to the bottom so there are no drips. Getting the kids involved in household chores is the perfect way to teach them a lifelong skill. The perfect time to teach your kids is when they are toddlers. Your toddlers are the perfect age since they always want to do what everyone else is doing. You can start by doing something simple that they can help with, such as folding towels and putting them away. Bringing their dirty clothes to the laundry room is also another easy task for them. One way to help them do some of the tasks in the house is creating a chore chart. Teaching your children that doing a couple of the small cleaning tasks every day makes everything overall easier. Younger kids can do simple tasks, such as dusting flat surfaces and washing windows. Move them into other household cleaning chores when they get bigger. You might hear some complaints from your kids, but they will be happy the day they have their own home knowing how to clean their own house!